DBHS AP Environmental Science students work on five projects in annual competition. 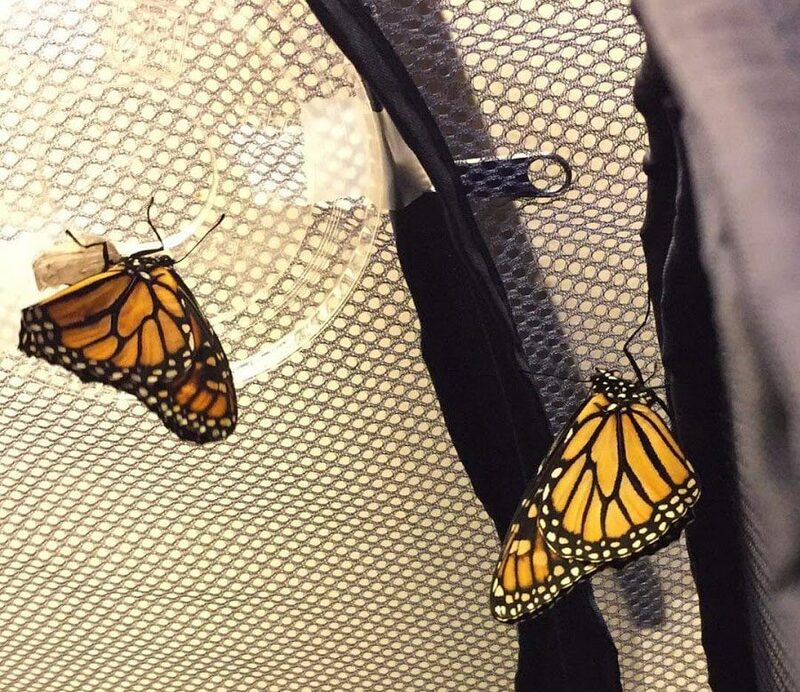 One APES project, The Butterfly Effect, seeks to increase monarch populations. In search of new and innovative ways to improve Diamond Bar High School, AP Environmental Science students have yet again started on their annual sustainability projects to be showcased at the end of the school year. Every year, APES students are given the opportunity to give back to DBHS through these projects. In previous years, approaches to these projects have varied from providing the school with fresh water to looking to provide renewable energy. Yet the goals of all the projects have remained the same: to create a more environmentally-friendly campus. Similar to past years, APES teachers Greg Valor and Kylance Malveaux are overseeing five projects. Valor’s second period has dubbed its project The Butterfly Effect, and his fifth period class is calling its project The Magic Greenhouse. Meanwhile, Malveaux’s first, third and fourth classes have named their projects Hydro-Gen, Lightleaf and EcoBreeze, respectively. The students behind each project will have until May to research and gather the necessary resources. After completing their projects, students will present their work and findings to a panel of judges, who will determine a winner. The Butterfly Effect seeks to address the issue of the declining population of monarch butterflies by growing milkweed, the only plant caterpillars will consume. By spreading community awareness in local elementary schools, junior project leader Ryan Lou hopes to stress the importance of the monarch butterfly and its effect on the environment. “We chose this project because we wanted to have a tangible environmental impact upon the community and we learned about the decrease of the monarch butterfly population,” Lou said. Not having been used for 18 years, The Magic Greenhouse is seeking to renovate the school’s greenhouse connected to chemistry teacher Malinalli Cooke’s classroom. There, they will grow plants to increase biodiversity as well as introduce aromatherapy to DBHS, which is the use of plants for relaxing aromas. Led by junior Tricia Parker, Hydro-Gen will attempt to implement a hydrogen fuel cell, an energy source that is a cleaner alternative to gasoline that can also provide electricity. Even though the cells are mainly used in cars, Parker hopes to use them to generate electricity for multiple products across campus. However, hydrogen fuel cells are not cheap, as prices can range from $500 for a lower end model to $2000 for a high end model. Even so, Parker hopes to be able to provide one through raising community awareness and fundraising. Looking to provide consistent and sustainable energy through plants, Lightleaf will use plant microbial fuel cells. When plants photosynthesize, most of the energy produced is released into the plants’ roots. Microbial fuel cells can use that energy to create a consistent and reliable source of energy for simple electronics such as light bulbs and clocks, but junior project leader Michael Cheng hopes in the long run it will be able to power larger appliances. Through the implementation of a geothermal pump in either South Pointe or Evergreen, EcoBreeze hopes to decrease their energy use, thus reducing carbon footprints. Geothermal pumps source their energy from the ground, then redistributing heat or cool throughout a room. In the schools’ case, air conditioning units will be replaced by the pump. A commonality among all the projects, besides raising awareness in the community, is the need to raise funds for necessary supplies and materials as many of these projects require expensive products. The groups’ projects will be financed in multiple ways but are not restricted to: fundraisers through popular outlets such as Chipotle or Chick-Fil-A, donations and leftover funds from previous APES projects.